The altar of this church was built right over a rock. From the year 28 to 350 A.D., Judeo-Christians have venerated this rock as that upon which Jesus placed the loaves and fish before He blessed them and fed the multitude of people. In 350, the first church was built here and the rock was used as the altar. In 480, a Byzantine church replace the original building. 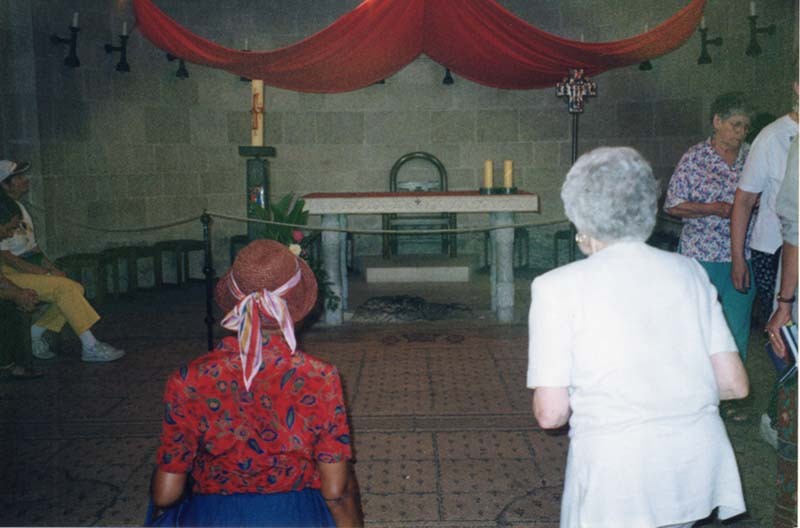 The rock was reduced in size and moved to underneath the new altar. 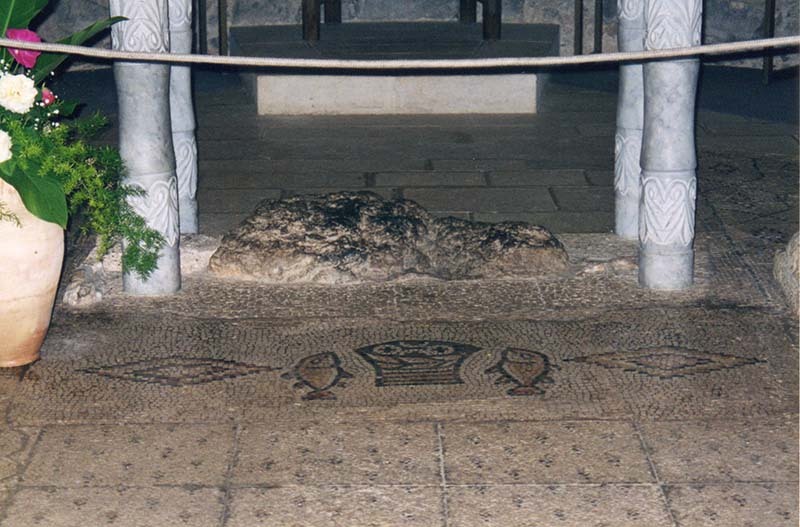 The mosaic tile floor in front of the rock is a remnant from that church. Click on it to get a better look at the mosaic.